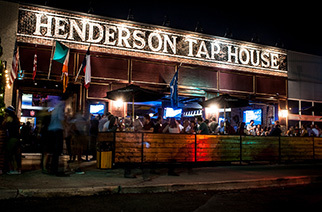 The Henderson pub is always packed with dudes watching sports and girls wearing their trendiest cropped tops. Local and craft beers are on tap and brick oven pizzas are served late into the night. DJs are on the decks from 10 pm to 2 am. When the weather’s nice, garage doors open to let the fresh patio air in.